I have put together teams (yellow and green) for this season. I tried to create 2 fairly balanced teams based on ages and abilities. I may make some adjustments later in the season as the players progress. 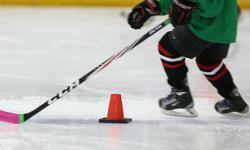 If you are interested in helping out (on-ice) at timbits practices please contact Chris Edgar ([email protected]).